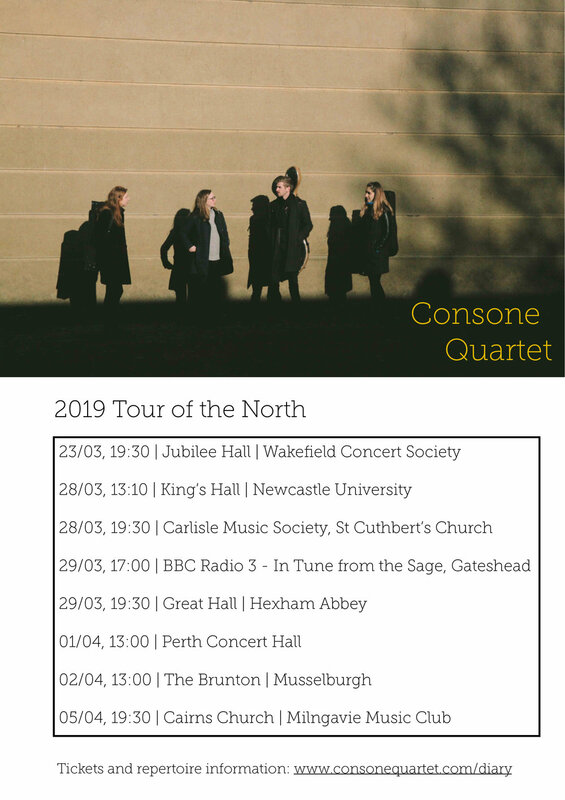 The Consone Quartet set off on their Tour of the North this month, beginning in Wakefield on Saturday, 23 March. Other stops on the tour include Newcastle, Carlisle, Hexham Abbey, Perth, Musselburgh, and Milngavie. During the tour, the quartet will showcase works from their recently released debut album, and will even make time to stop off for an appearance on BBC Radio 3’s In Tune live from the Sage Gateshead at 17:00 on 29 March where you can hear all about the tour so far, plus much more. So if you can’t catch them live, be sure to listen in!